Ash Gaming was founded in 2000 and since then have gone on to be one of the most recognisable brands in the industry. This software producer have managed to create a broad range of games with special attention to detail, which enabled them to strike up partnerships with some of the worlds biggest online casinos. The software comes in a flash based format, which allows casino’s to seamlessly integrate Ash’s products into their makeup. As they based out of London and licensed by the UK Gambling Commission, the company are unable to provide services for players based in the US, but other restrictions are fairly few and far between. In total, the company boasts a catalogue of around 103 games, which range between slots, progressives, and table games. What’s been interesting to see from Ash Gaming is that they have definitely gone in the direction of being a little more ‘out there’ when it comes to the products that they offer. By this we mean that they aren’t afraid of pushing the boundaries to the downright whacky, if you will. Games such as King Arthur and Aztec Gold, two of Ash Gaming’s biggest success, have a bit of a twist on where you think the theme might be heading at first glance, which is a good thing in our opinion. We like to be kept on our toes. Out of the 103 games on offer, 63 are made up of slots, which isn’t all that surprising given their popularity. The games on offer from the slots section are a really good mix and what Ash Gaming do better than most is make sure that their games follow a strong RTP (Return To Player) percentage throughout the game library. For example, Gold Rush Showdown has one of the largest in the industry with an RTP of 96.1% closely followed by King Arthur at 95.1% highlighting how user-friendly and rewarding their slots can be. Whilst Blackjack is included in the suite, there is actually only one version on offer, which is the traditional single deck version. It’s a little disappointing to only see one, but like most software companies, there is usually a downside somewhere and this is where Ash focus the least of their attention. 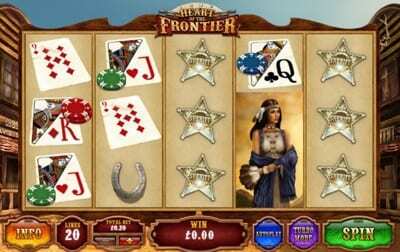 They offer 8 Roulette games ranging from classic, American, French, European and variations of each. There are also one or two poker titles. This is a nicely contained selection and their popularity is evidenced by the number of casinos that actually use them. With 17 jackpot games on offer, all running with the Ash Gaming network, you probably won’t be surprised to hear that they have one of the best ranges of jackpot games in the industry. Some of the highlights include Chests of Plenty, The Winnings of Oz, Adventures in Wonderland, and Fairest of them All. 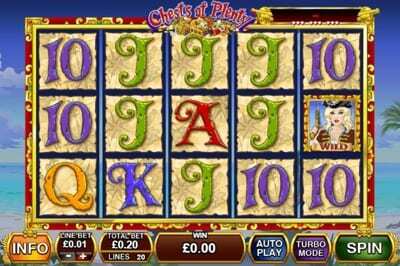 The jackpots from game to game vary somewhat, but it’s worth noting that the average payout on their biggest jackpot games, Chests of Plenty, is that of £1,346,022 at the time of writing. You will also find several that average out in the low-mid hundreds of thousands. Ash Gaming’s introduction to the online gaming sector came in 2000, but the company have managed to develop and change things up quite a lot in the years that followed. When they first cropped up on the scene they were very much a made-to-order casino firm which companies would employ to design the games that they wanted to use on site. They had great success with this, but it quickly became apparent that casinos were asking for similar types of games over and over again. The next logical step for Ash Gaming was to start to providing companies with a portfolio of games instead. The concept was to have enough products in their portfolio so that all casinos would be catered for should they come asking for certain game types. This is essentially how the company works today and its business model has proved to be much more successful than the way they started. As the brand’s reputation and range of games on offer increased, Ash Gaming started to incorporate other casino games such as Blackjack, Roulette, and later down the line, Progressive Jackpot games into the fold. The company’s success hadn’t gone unnoticed, and in 2011 they were acquired by gaming giants, Playtech, in a deal reportedly worth $30million. 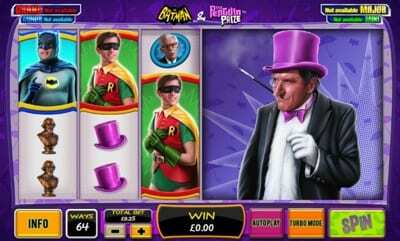 Whilst Playtech still own Ash Gaming to this day, they have pretty much allowed them to continue to create games as they were with their own unique style being visible in each new game that they make – none more so than in the Classic Batman series of slots. The success that both companies have enjoyed since the acquisition has been easy to see, especially when you look at the casinos and brands that are now happily associated with Ash Gaming.